Welcome to Eternal Math! 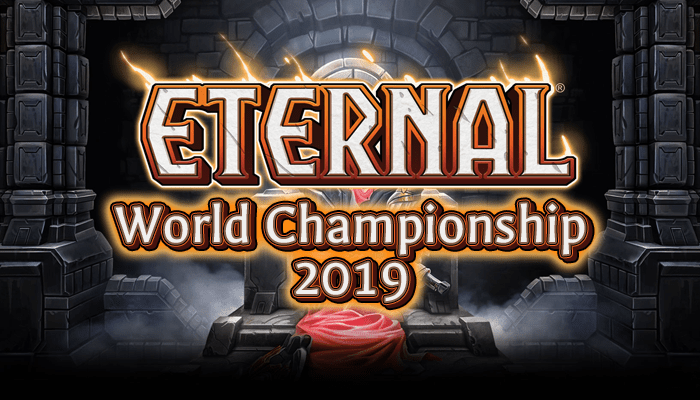 My name is Wodar (IG: Wodar+0226) and I have been playing Eternal since closed beta and have been really loving the game. More importantly, I have a bachelor’s in mathematics so I know a thing or two in the subject. As we all know, there is a lot of math going on behind the scenes in card games: chances of drawing your bomb in draft, playing your 3 drop on turn 3, playing your sigils on time, top decking lethal, etc. However, math is hard and you cannot always trust your intuition when it comes to probability, so I wanted to go through some examples of Eternal cards that all have innate randomness to them and help you get a better understanding of these cards using math! Light the Fuse is arguably the strongest card in eternal! It is a single card that can win the game just by itself! Of course almost no one plays the card because the chances of hitting all the Firebombs is really low, but how low is it exactly? What if instead we look at this card as “1 cost deal 5 damage to the opponent.” How often does this happen in a game where you cast Light the Fuse and how many turns should you expect to wait before seeing a single Firebomb? Thankfully math is to the rescue! To help illustrate how we should be understanding Light the Fuse, we will be assuming that you are on the play and you cast Light the Fuse on your first turn. To put these numbers into perspective: there is a 7% chance of your opponent getting hit by at least 1 bomb on their next turn after you play Light the fuse (yes they can call you lucky if this happens). There is a 0.4% chance of getting hit by 2 bombs right after light the fuse is played and a 0.00000007% (7 in 100,000,000 chance) of getting hit by ALL the bombs on turn 1. To put that into perspective, the odds of being hit by lightning this year is 1 in 960,000. The odds of being struck by lightning twice in your lifetime is 1 in 9,000,000. So what I am saying is that if you are in the game where this happens, take a screenshot as proof and don’t go outside for the rest of your life. More functionally, if you expect the game to go on long (and/or the opponent to draw a lot of cards), you can start expecting to see 1 bomb after about 9 draws. The number of draws go down a bit if you cast Light the Fuse later in the game but unless your opponent is decking themselves, you should expect at least 1 bomb after 8-9 draws (on average). So if you are making some kind of deck that both is interested in 5 damage to your opponent’s face AND wants to go long, then Light the Fuse is the exact card you want. Everyone else should not touch the card unless you want to show off to your friends exactly how lucky you are. Is Mating Call a 2 cost Mirror Image? How often will it hit 2 or more copies? What about Mating Call in draft? As you see in the numbers, it is only after you have 50 cards left in your deck (Turn 18/19 without any card draw, around turn 15 with car draw) do you start hitting a copy half the time IF the other 3 copies are still in your deck. So as a 2 cost “Mirror Image”, Mating Call fails. The chances of being a better Mirror Image and hitting more than 1 copy of a unit is even worse. If you cast Mating Call with 50 cards in your deck (Turn 15+) AND you still had 3 copies of that unit in your deck, the chances of hitting 2 or more copies is at an unacceptable 9.8%. So once again, you should not expect to hit 2 or more copies of a unit in a normal constructed deck. But now let’s talk about the unnatural. I don’t really have much analysis here except to say more power to you, Schulks. Good job hitting the 5% if you just had 4 Alphas or great job drafting 6+ Alpha Wolves in just 2 packs! To put a button on this, don’t play Mating Call unless something ridiculous is going on with your deck. Just to be clear, I am not making a judgement of if these decks as a whole are good or bad, I will just be doing calculations to see the expected outcomes from casting a Divining Rod in each of these decks. To simplify things a bit, we will answer the question: On turn 6, what are the expected outcomes from playing a Divining Rod on unit? With all these decks, even when getting to the lower number of hits (18-16), you still have a more than 70% chance of hitting at least 1 unit with Divining Rod. Expecting to hit at least 2 units, you will need about 32 hits left in your deck (I am setting 70% to be how I define “expected”. I am showing off the numbers and how to calculate the numbers, so if you are fine with 60% chances, you can find out that all you need is 27 hits for that). Hoping to hit at least 3 units only gets up to 41% at the best of situations. Even worse, hitting 4 units is a 9% chance in the best case scenario. Now that we know some expected numbers from some realistic decks around Divining Rod, what about an EXTREME Divining Rod deck: 25 sigils, 45 units all with the same keyword. Warning: You will have to be playing some pretty bad units to get your unit count up to 45. For this EXTREME Rod deck under an ideal situation (2 drop, 3 drop, 4 drop, 5 drop, Divining Rod, not missing a sigil drop and no units in hand) you are left with 43 units in your deck when you play the Rod. As might be intuition, the chances of hitting at least 1 is near guaranteed (99.4%). Hitting at least 2 is almost as good (92.7%). However, the chances of hitting at least 3 units in this ideal situation is just 66.2%, which is pretty good, but (in my mind) is not a good enough chance when we have warped our whole deck around getting hits off Divining Rod, to the point of running no spells, relics, or weapons. Finally, even in the EXTREME Rod strategy, the chance of hitting 4 off a Rod in these ideal situations is only 23%. You should never expect to hit 4 units off Divining Rod. Even in ideal (and pretty unrealistic) situation, your deck is still at least 1/3 power, and having a run of all units for 4 cards is unlikely. Even in the best situation, hitting at least 3 units off Divining Rod can only get up to 66.2%. This probably doesn’t equate one-to-one to winning, but I am just here to tell you the numbers and you can form your own conclusions from there. In a more natural deck (35 or less unit hits), at best you are looking at a 41% chance of hitting 3 or more units off a Divining Rod so don’t count on that happening. Getting 2 hits from Divining Rod is a dividing point for our example decks. For a deck like All-in Deadly Rod that is built with 36 Divining Rod hits in it, you can expect to hit 2 units somewhere between 67%-53% of the time in an average situation. In decks that are built with 26-24 units with a common keyword, you are only looking at hitting 2 units 39%-27% of the time in an average situation. In a deck built around Divining Rod (23 or more units will a common keyword), you can expect to hit at least 1 unit somewhere between 70%-95% of the time depending on how many hits you put into your deck. And that is a wrap. If you have any questions you can reply to this article or find me on the Eternal discord.